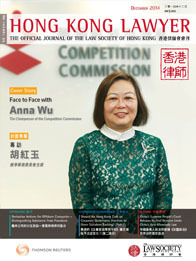 Calls for the introduction of a statutory mechanism for the recognition of foreign insolvency proceedings in Hong Kong are not new, yet to date there has been no suggestion of such a mechanism being introduced as part of the comprehensive review being conducted into Hong Kong’s insolvency laws. Two recent decisions of the Privy Council and the High Court have again served to highlight the need for such provisions. In Singularis, the Privy Council was asked to consider whether the Supreme Court of Bermuda (“Bermudan Court”) had power at common law to recognise and assist liquidators appointed in the Cayman Islands (“Liquidators”) by granting an order requiring the former auditor of Singularis, PricewaterhouseCoopers (“PwC”), to produce its audit working papers. The Liquidators sought such an order in Bermuda rather than the Cayman Islands because such an order was not available under Cayman law, which only provided for documents “belonging to” a company to be delivered up to liquidators, rather than documents “relating to” a company. At first instance, the Bermudan Court recognised the authority of the Liquidators to act on behalf of Singularis and “by analogy with the statutory powers contained in section 195 of the Companies Act 1981 (Bermuda) (“Act”)” ordered PwC to produce the same documents which they could have been ordered to produce under the Act. In reaching this conclusion, the Bermudan Court relied on the principle of “modified universalism”; namely that a court should, so far as is consistent with justice and public policy, co-operate with courts in the country of a principal liquidation to ensure that all of a company’s assets are distributed to its creditors under a single system of distribution. At its broadest, this principle had been extended to allow an assisting court to treat the foreign insolvency process as if it were a domestic one and to allow a foreign liquidator access to any remedy which would be available to a domestic liquidator (see Cambridge Gas Transportation Corp. v Official Committee of Unsecured Creditors of Navigator Holdings Plc  1 AC 508). On appeal, the Court of Appeal overturned the decision, considering the application to be “unjustifiable forum shopping”. Two issues arose for consideration by the Privy Council: (i) whether a common law power existed to assist foreign liquidators by ordering parties to provide information in circumstances where the equivalent statutory power did not apply to foreign liquidators; and (ii) whether, if such a power existed, it should be exercised where an equivalent order could not have been made by the “home” court of the liquidation. The Privy Council held that a common law power exists to assist foreign liquidators by ordering the production of information necessary for the administration of a foreign winding-up. However, that power did not extend to applying statutory remedies “by analogy” where such a remedy was not available to foreign liquidators on its terms. If the legislature had wanted a particular remedy to be available to foreign liquidators it would have provided for that – an example being section 426(5) of the Insolvency Act 1986(UK). To the extent that Cambridge Gas and subsequent cases had taken such an approach, those decisions were incorrect. any such order must be consistent with the substantive law and public policy of the assisting court. At first glance, the decision in Singularis significantly narrows the scope of assistance which courts may grant foreign liquidators at common law, dismissing the “extreme” version of the principle of universality propounded by Lord Hoffman in Cambridge Gas. However, as Lord Neuberger noted in Singularis at para. 157, “as with the Cheshire Cat, the principle’s deceptively benevolent smile still appears to linger, and it is now invoked to justify the creation of a new common law Power.” Whilst the decision provides some clarity, the common law in this area remains far from settled. The Hong Kong High Court heard a similar application in The Joint Official Liquidators of A Company v B and Anor  4 HKLRD 374, where liquidators appointed in the Cayman Islands sought information from parties in Hong Kong which might have assisted them to determine whether moneys had been paid as part of a fraudulent scheme. Like the Privy Council, Harris J concluded that, at common law, the High Court has the power to recognise and grant assistance to foreign liquidators. HarrisJ went on to find that the High Court could, pursuant to a letter of request from a common law jurisdiction with a similar substantive insolvency law, make an order “of a type which is available to a provisional liquidator or liquidator under Hong Kong’s insolvency regime”. In light of the subsequent decision in Singularis, this approach might not be followed in the future – the Privy Council having noted that local statutory provisions could not simply be applied “as if” the foreign liquidators were appointed in Hong Kong – however the result would ultimately be the same given the finding in Singularis that a similar common law power exists.